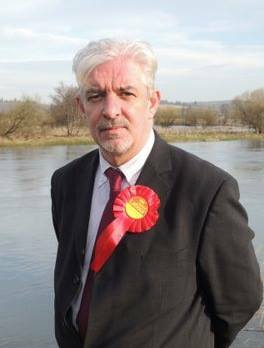 A LABOUR politician from Stirling has been selected to contest the Orkney and Shetland seat at the forthcoming general election. Gerry McGarvey came top in a postal ballot among Labour members in the northern isles who had a choice of three applicants. McGarvey, who works as a parliamentary assistant to Stirling MP Dame Ann McGuire, said it was essential for islanders to have the opportunity to vote for what Scottish Labour stands for. “The coalition have talked a good talk, about ‘saving the economy’, but have singularly failed to evidence any benefit to individuals, families or communities during their term of office,” he said. “The challenge for me is to convince the electorate that we will bring about the change that people, especially our vulnerable, are so desperate to see. McGarvey’s election agent and Labour’s Shetland branch secretary, Gordon Thomson, said he was pleased the party had chosen a “high-quality” candidate. “We would have liked somebody from Orkney or Shetland, but no one has come forward, male or female,” he said. One of the first things McGarvey did after his candidacy was announced was to set up Facebook and Twitter accounts. Other prospective parliamentary candidates for the Orkney and Shetland seat are incumbent MP Alistair Carmichael (Lib Dems), Danus Skene (SNP) and Robert Smith (UKIP). A candidate for the Conservatives is expected to be announced shortly.